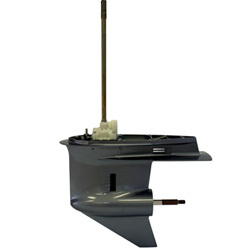 Sterndrive Replacement has Yamaha Outboard Lower Units at a very affordable price. Even though our price may be the cheapest you will find, none of our products are not rebuilt. They simply are the aftermarket’s finest. With any Upper and Lower purchase unit, Sterndrive Replacement lets you benefit from a 3 years warranty. Only at Sterndrive Replacement. Replaces most Yamaha 90 Degree V6 2-Stroke and some inline 4 cyl. 4-Stroke. The SE-90-416 has a variable ratio and shaft length according to your specifications.